Speeding tickets are frustrating in themselves. No one likes getting them, and no one likes paying them. But, Imagine receiving an additional $200 fine just for paying your speeding ticket. If you are stopped for excessive speeding in Georgia, you may not have to just imagine. A Georgia Super Speeder fine is an additional $200 on top of the original fine imposed by the court. Seeking representation from a local attorney is helpful in order to explore your legal options and a possible reduction to avoid the additional fines. Many people choose to simply pay the fines, and move on with their lives. But, knowing the consequences when you decide to just pay a ticket is an important step in making sure you get the outcome you expect. Georgia has a unique traffic law called the ‘Super Speeder Law’ that puts additional $200 fee on any driver convicted of speeding at 75 mph or more on a two-lane road, or at 85 mph or more on any road or highway in the state. Most of the time, no one in the court system even mentions the fine “ not the judge, prosecutor, or even the police. That is because this fine comes directly from the Department of Driver Services (DDS), not the court. DDS is responsible for the administration and collection of the $200 Super Speeder fee. So not only are courts and court personnel not responsible for telling you about the fine, but they actually have nothing to do with the Super Speeder fine being issued other than getting the initial conviction. This means that if you decide to just pay the initial fines and fees, or plead nolo contendere, you admit you were guilty of speeding. If your speed was 75 mph or more on a two-lane road, or 85 mph or more on any road in the state, you just admitted you were a Super Speeder, and it will cost you an additional $200 when the conviction report gets sent to DDS. This can be several months after you thought the case was resolved. While there are no violation points added to your driver’s license with the Super Speeder fine, failing to pay the fee within 120 days will result in your license being suspended in Georgia, and an additional $50 reinstatement fee. In addition, for an out-of-state driver, the non-payment will still be reported to your home state under the Non-Resident Violator Compact (NRVC), and your license may be suspended in your home state as well. To compound the problem, since most states do not have a Super Speeder Law, other states may report it to the National Driver Register (NDR) as a more serious violation like reckless driving. No matter how Georgia or another state reports the violation, both states will report the suspension to the NDR. Add this to the additional increases in your car insurance, and this can quickly equal a mess for trying to do the right thing. The Traffic Attorney at A. Bishop Law is a local attorney that specializes in Georgia law, and can help you avoid Super Speeder fines. We can often negotiate plea bargains, or have the charges reduced so that no points are added to your driving record, your license is not suspended, you avoid Super Speeder fees, or some combination of those options. 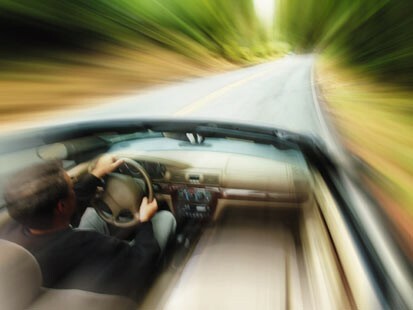 At A. Bishop Law, we know how frustrating speeding tickets can be, and how Super Speeder fines add to that frustration. Our goal is to make sure that, whether our clients choose to plea bargain or go to trial, they are empowered to make a decision, and we work to get the results they expect.